ROOM ADDITIONS: Adding an extra room on your home will providing more space for your belongings, recreational area for the kids or they can be used to gain more living, kitchen or bathroom space. 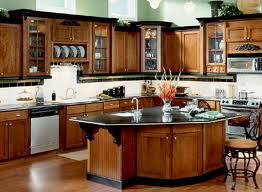 KITCHEN REMODELING: Most families spend thousands of hours a year cooking, cleaning and hanging around their kitchens. So making it more functional will make that time more enjoyable. BASEMENT REMODELING: Start taking advantage of this extra area by transforming it into a more enjoyable and useful living space. They're perfect for game rooms, family rooms and bedrooms. DECK SYSTEMS: Grilling out with friends and family has always been one of the most popular outdoor activities and there is no better place to do it than on a deck. Increase outdoor living space with one of our custom decks. SIDING and TRIM: Covering the exterior of your home with today's fiber-cement or vinyl siding materials will reduce yearly maintenance, which can save you thousands in upkeep and repairs. ﻿﻿We also install all types of traditional wood siding and trim. 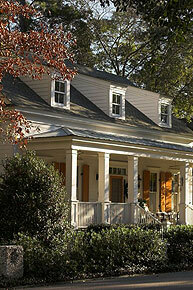 HISTORICAL RESTORATION: Providing Historical Restoration with the utmost care in preservation of the past. Our 50 year old house now looks like it was built yesterday. Fantastic job my wife and I can't thank you enough. The kitchen is more than we excepted, it was a pleasure working with you and your hardworking crew, you are all true professionals.